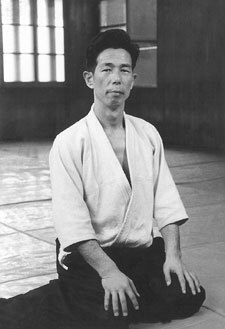 Seigo Yamaguchi Sensei was one of the most important of the first generation of aikido instructors in the postwar era. He taught at the Aikikai Hombu Dojo in Tokyo for several decades rising to the rank of 9th dan. Yamaguchi Sensei influenced several generations of practitioners within the Aikikai system including many of today’s senior instructors of the Headquarters school. Seigo Yamaguchi was born in Fukuoka, Kyushu in 1924 where he completed his primary and secondary education. At the age of 19 while a college student, he entered the Imperial Navy and underwent training in a kamikaze submarine unit before the war suddenly ended. Following World War II, Yamaguchi Sensei returned to his native Fukuoka, and resumed his studies. In 1949, he passed an examination qualifying him for entry into government service. Eventually intending to further his education in Europe, he first decided to study traditional Japanese culture. This led him to research the macrobiotic teachings of Nyoichi Sakurazawa, known in the west as George Ohsawa. Through his connection with Ohsawa, Yamaguchi Sensei received an introduction to Aikido Founder Morihei Ueshiba in 1950. Captivated by Ueshiba’s aikido, the 26-year-old Yamaguchi immersed himself in the practice of the little-known art and soon displayed his considerable aptitude. 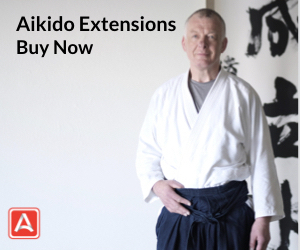 After several years of aikido training, he became a regular staff instructor at the Aikikai Hombu Dojo and also fulfilled teaching duties at various outside locations during the early years of the spread of the art in Japan. 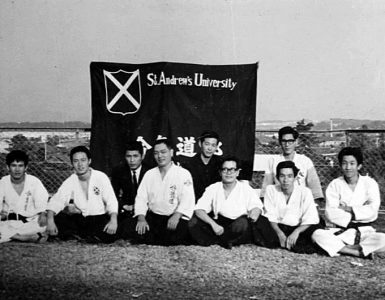 In 1958, Yamaguchi Sensei was dispatched to Burma, present-day Myanmar, on a cultural mission where he taught aikido to the National Army for about two years. On his return to Japan in 1961, he resumed his role as a senior Aikikai instructor. 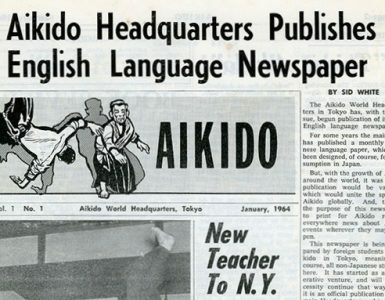 During the 1960s and 70s, Yamaguchi Sensei’s singular style of aikido began attracting the attention of foreign aikidoka who came to Japan to train. Among his well-known students from this period were Christian Tissier of France and William Gleason of the USA. 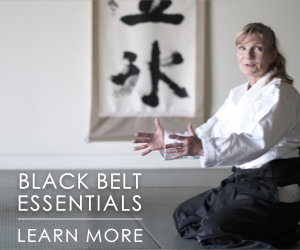 Starting in 1977, Yamaguchi Sensei began conducting seminars abroad on a regular basis. Continuing through 1995, he made annual visits to numerous countries in Europe, especially France on the invitation of his student Christian Tissier. He also gave seminars in the USA, Canada, Argentina and Uruguay. In addition to his teaching activities at the Aikikai Hombu Dojo, Yamaguchi Sensei conducted regular courses at several universities and locations in the Tokyo Metropolitan area. He also accepted numerous invitations to teach all over Japan. His Zoshukan Dojo located in Shibuya where students were accepted only by invitation, was the center for his personal aikido research. 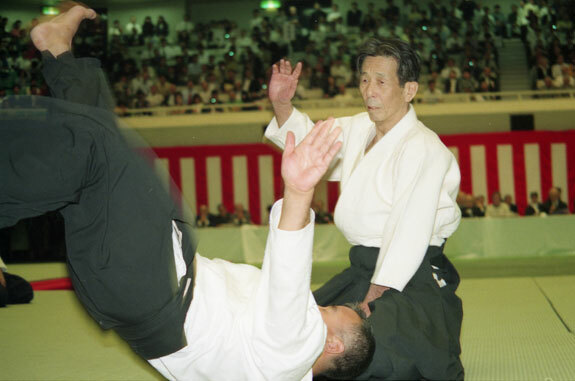 Yamaguchi Sensei passed away on January 24, 1996 in Tokyo after remaining active in aikido for more than 45 years. 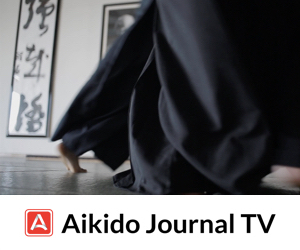 Aikido Journal offers a DVD that represents a rare look at Seigo Yamaguchi Sensei in his prime during a seminar held in Paris, France in 1987. 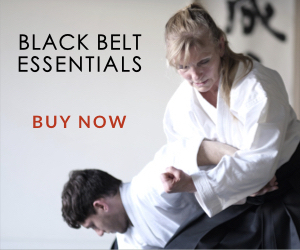 Never before shown in public, this precious footage will serve to introduce his unique form of aikido to a new generation of practitioners the world over. Incredible!!! Awesome!!! My sensei was a student of Yamaguchi sensei in Japan. He says he is just a toe of Yamaguchi sensei. Wow!!!! I cant´t wait to see this video, because I know there is so little material on Yamaguchi sensei. Thanks Mr Pranin for this opportunity to see this great master.